Philip's main performing activities now focus on accompanying, and Piano Duo work. 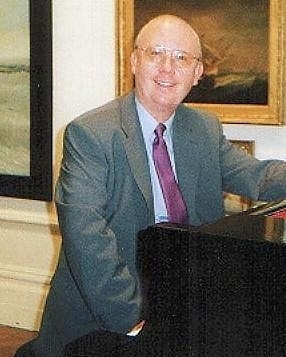 In partnership with local musician and composer, Clive Jenkins, Philip has played at a number of prestigious venues in the area, including an evening recital at the City Museum & Art Gallery in October 2001, where he was specially commissioned to compose a work to mark the occasion, his Sonatina for Piano Duet. What the Press said . . . THE Herald's Mr Music makes an exhibition of himself in Plymouth's museum and art gallery tomorrow night. Composer and pianist Philip Buttall writes on classical music in our weekly What's On Now supplement. 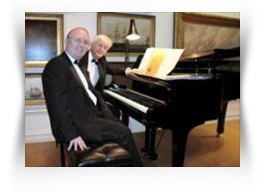 Tomorrow night he is one half of a duet giving a piano recital in aid of the Friends of the Plymouth City Museum and Art Gallery, who will be celebrating their anniversary. Philip will be playing alongside Clive Jenkins, composer of the Plymouth musical Tales from the City. 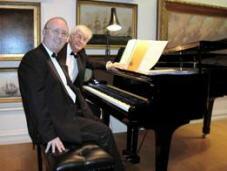 The pair will play a repertoire including works by Schubert, Mozart and Grieg. 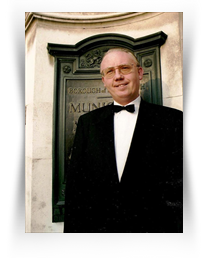 They will also be playing Philip's own composition, Sonatina for Piano Duet, which he has especially dedicated to the Plymouth City Museum. 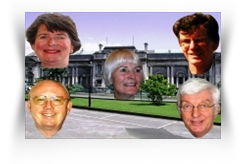 LORD and Lady St Levan joined Plymouth's Lord Mayor and Lady Mayoress as special guests at this concert celebrating the 50th anniversary of the founding of the Friends of Plymouth City Museum & Art Gallery. The milestone event was celebrated by two sons of the city presenting a splendid programme of music to a rapturous audience. 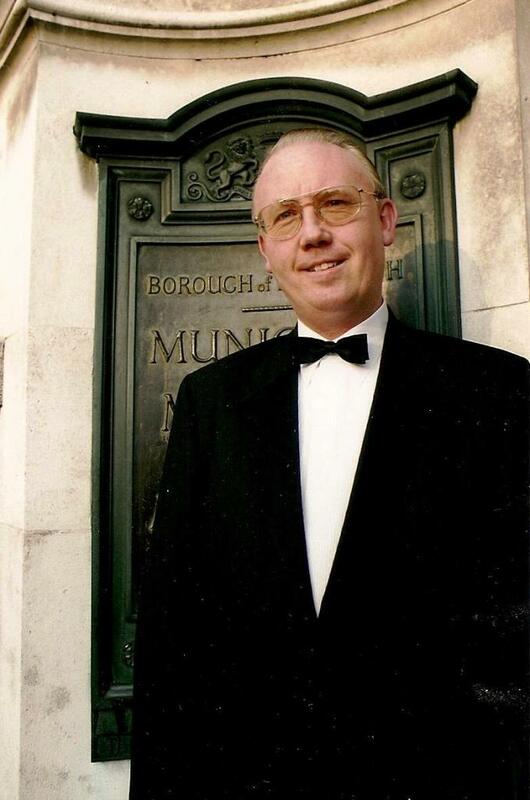 Philip Buttall and Clive Jenkins are not only brilliant pianists, but also accomplished composers to be noted and acknowledged by our city with pride. The opening piece, Schubert's Overture in the Italian style, was a joyous beginning, followed by the familiar Spanish Dances by Moszkowski. Then we were led to reminiscing with a rendition of Fauré's Dolly Suite. The Radio 4 children's programme Listen with Mother had us all sitting comfortably for a few minutes. Now it was time for the 'pièce de résistance', Philip's own composition written and dedicated to the museum for this special occasion, the Sonatina for Piano Duet. The work is cast in three short movements, a gentle, pastoral Lento framed by two more tempestuous Allegros. There is no specific programme, except that each movement uses the same rising three-note motif. It begins in A minor and finally reaches a triumphant ending in the tonic major. Concert organiser, Jeanie Moore wrote . . .
Philip has also appeared in a Duo with cabaret singer, Joy MacLeod. Jeanie Moore writes . . .
a marvellous concert for the opening of the 10th Season of the International Lunchtime Concert Series. The audience were left begging for more! Click to listen to Liszt's Hungarian Fantasia for piano & orchestra, with the Combined Orchestras of HM Royal Marines (Plymouth), with Philip as soloist, recorded in Plymouth Guildhall in December 1976*. The recording was initially made on cassette, but was edited and transcribed to CD in 2005, by Bruno Music Services (Kent), run by former bandsman, Trevor Brown, who played in the orchestra at the time. While the CD isn't commercially available, it does also include Philip's performances of Gershwin's Rhapsody in Blue and Mendelssohn's Piano Concerto No 1 in G minor, both with the same orchestra in 1975 and 1974 respectively, conducted by Captain W W ('Wally') Shillitto, Director of Music. * This is a large file (15MB) and may take several minutes to download on a slower connection. 'A special Centenary fund-raising concert will take place in the Meade-King Hall, Plymouth College. on Wednesday May 16, 2007 at 7.30pm. It has been organised by The Herald's Classical Music Writer & Critic, Philip R Buttall who says: The evening will provide a showcase for some of the school's musical talent, as well as giving some of us older animal lovers a chance to do our bit for a most deserving charity.' ...Tails (Gables Farm Dogs' & Cats' Home Newsletter - Spring 2007). 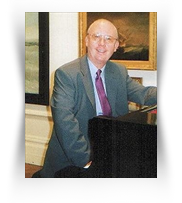 As an animal-lover, Philip was delighted to help, together with a number of his piano students, friends and musical associates. A formal cheque presentation of the concert proceeds took place later in June, as subsequently reported in The Herald. Read what Tails (Summer 2007) had to say! 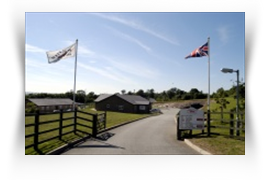 GABLES Farm chairman, Carol Gow, said that the animals under her care were totally reliant on their human friends. That being so, they couldn’t have come up with a more varied selection, with something for every taste, or every breed! Opening with a Moszkowski piano duet, where I was joined by former Plymouth College head-boy, Mike Adlington, the first part included arias by tenor, Steven Phillips, electric-guitar solos by Reuben Jones, some more novelty duets, including my own Five-finger Fox-trot, and Three’s Company March, and the school's Samba Band, adding a carnival atmosphere to the proceedings! Clarinet-teacher, Colin Crossman, entertained with Begin the Beguine, and my own Matilda Goes Walkabout, with pianist, Ralph Jones, continuing the jazz theme. Saxophonist, Tavoya Howeson, wowed everyone with her stylish playing, as did Charlotte Badham's two contrasting vocal solos. Some piano duets, including Fauré’s Mi-a-ou, for the cats, and a J C Bark (or Bach!) Sonata for the dogs, brought this most enjoyable evening to a close, and which definitely provided some nice little treats for the animals too! 'THE Composers Concert on Thursday will premiere pieces by composers Philip R Buttall, Clive Jenkins, Marsha Head and Terence Higgins. They will be performed by Douglas Clarkson on saxophone and clarinet, Jake Loewendahl on violin and Olivia Loewendahl on cello, along with the four pianist composers themselves', writes Herald and Western Morning News Features Editor, Su Carroll... The Herald, Plymouth, Saturday April 12, 2008. The event gave Philip an opportunity to write for a new instrumental combination, and saw the premiere of his Maltese Serenade for piano, clarinet, violin & cello, inspired by his holiday on the island in the previous year, ending the lunchtime recital on a real high! Philip's Matilda Goes Walkabout! opened the concert, and his Eclogue for Cello & Piano, heard for the first time in this particular version, provided the ideal contrast before the spirited Maltese finale! You can read Philip's own Herald report on the concert here. Click to read a fuller article on the event, and on concert-organiser, Jeanie Moore MVO. Please click to see a larger picture of the participants, kindly taken by Plymouth Music Accord Secretary & Concert Diary Editor, Roger Viles, of Minim Website Design. The concert gave Philip the opportunity to work with Marine-band Colour Sergeant, Dougie Clarkson, a former piano and Theory Diploma student, as well as Jake and Olivia Loewendahl, who, unbeknown to Philip, had actually spent their honeymoon on Malta, so A Maltese Serenade hopefully brought back many happy memories for them! The final word, however, must go to Malcolm Jones, former Professor of Marine Biology at Plymouth University. Mal has been to Malta many times in connection with his work, and told Philip that the piece really captured the spirit of the island nation and its people, and that he was leaving the concert suitably buoyed up, and eager to return there as soon as possible! There can be no more gratifying praise for a composer than that! THE South Gallery of Plymouth City Museum was packed when the new concert season opened last Thursday with singer Joy MacLeod, accompanied by Philip R Buttall. Joy presented her audience with happy, funny and sometimes sad cameos of her musical career. Her rendition of songs by Gershwin, Cole Porter and Hoagey Carmichael were sung with exquisite interpretation, and marvellous timing. A request from me for Eartha Kitt's Old Fashioned Girl was superb. Philip, in turn, sparkled and danced his way across the keys, with constant empathy, yet revealing his own inimitable style. Together Joy and Philip gave a marvellous concert for the opening of the 10th Season of the International Lunchtime Concert Series. The audience were left begging for more! The second half included Mozart's Sonata in B flat and then, in excellent contrast, Peter Warlock's Capriol Suite, Two Norwegian Dances by Grieg and finishing with Dvorak's Two Slavonic Dances.There was a loud demand for an encore when the audience was treated to more Grieg. Although not as pretty as the Labecque sisters, this scintillating duo would find a second piano a great asset. There were moments of entanglement and crossovers, when each player was competing for his share of the keyboard. Philip and Clive are now well-established as performers, and we are fortunate to have these first-class musicians in residence in Plymouth.